That's the number of coaches Chelsea have used since 2004. Many may tell you it is a proven formula for success for the club and that the incessant printing of sack letters is as much a catalyst for success at the club, as much as Roman's billions. But while that is partly true, it covers up an underlying cancer that eats at any sustained success. Chelsea's early success was buoyed by Roman Abramovich's endless pocket and backed by his unrelenting thirst for trophy that left many rivals incapable of catching up to the West London club, and even Chelsea's lack of boardroom vision or myopia wasn't enough to bridge the gap. But things are changing, fast. Yes, Chelsea have won two of the last three premier league titles. Yes, they have the status and experience to repeat it. Yes, Roman's money is still a big lure. No, they are no longer the biggest spenders in England. And with that should come another realization: they can no longer afford knee-jerk reactions. Gone were the days the club could sack a manger and just give the next manager money to level the playing ground caused by the sacking of the previous manager. Now, with City and United willing to outspend Chelsea, the London team needs to start thinking of building a team behind a philosophy, behind a common ideology, and be willing to give their manager time to build a lasting legacy. 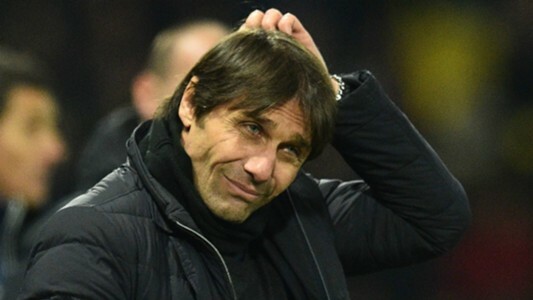 Chelsea's penchant for dismissal of manager after the slightest of bad turn is legendary and might just be the one thing that would end any hope of future sustained success, considering, without their most potent of weapon - their money - they have little going for them. And in an ecosystem swimming with the powerful lure of City and United's sheer financial power, Chelsea needs to end their vicious circle and give Conte or whoever they deem to be their next manager ample time to build.